The pearl of the Mediterranean – Alexandria, is undoubtedly among the most preferred destinations worldwide. In the Egyptian city, elegant ambience prevails, with a combination of features of the Middle East and Mediterranean. The emblem of the city is the Library of Alexandria. The modern Library, located near the Mediterranean coast, tries to recreate part of the brilliance of the ancient and extinct forever great library of Alexandria. 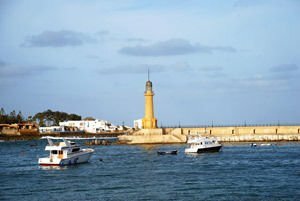 Another legendary ancient landmark of the Egyptian city of Alexandria is its lighthouse, named one of the Seven Wonders of the World. The catacombs of Kom el Shoqafa, once located on the territory of Alexandria, also attract visitors' interest. The ancient city is the work of architect Dinocrates. The place where over the years has stood the tallest beacon of the world, today is the citadel Fort Qaitbey. The lighthouse on the island of Pharos near Alexandria - the seventh wonder of the world, disappears forever without a trace. For the exclusive building there is only evidence from ancient witnesses’ accounts. The lighthouse on the island of Pharos was even higher than the highest pyramid. For twelve centuries, the Alexandria lighthouse had been welcoming sailors. Several powerful earthquakes collapsed the glorious edifice over the centuries. Today visitors can see another magnificent building, built among the ruins of the Alexandria lighthouse. That is the rampart of Qaitbey. It was built in 1408 by Sultan Qaitbey. Part of the phenomenal ancient lighthouse is built into the buildings of the citadel. Inside the building, tourists can visit the Naval Museum, which holds the relics of ancient Roman and Napoeonic times. Among the few monuments surviving the centuries of history in the city is a place called Pompey's Pillar. It is perhaps the largest and oldest monument rising since ancient times until today. The colossal pillar is nearly 30 meters high. It is believed that it was built in 297 years after Christ, in honor of Emperor Diocletian. Around it is a majestic Sphinx, built of pink granite. The monument is located in the ancient acropolis of Alexandria. Near the obelisk are the catacombs, as mentioned in the Kom al-Shoqafa. The place is full of mazes at many levels, which are reached by winding staircases. In the ancient complex, there are remnants of very fine columns, statues, burial niches and sarcophagi. The catacombs have preserved a large ceremonial hall, where they carried out the preparation for shipment of the deceased into the afterlife. Interestingly, the huge mausoleum for many centuries was unknown, until its discovery in 1800. In 1901, archaeologists discovered other catacombs, which became the site visitors go to with a wide interest. These are the Anfushi Tombs. It is assumed that these limestone tombs are carved in 250 BC. Inside, the monuments are inscribed with many beautiful paintings depicting Egyptian gods and the daily activities of the Egyptians. Another unforgettable ancient building is the Abu El-Abbas Mosque. The religious temple is built with four domes and high minarets. The holy place is considered by many to be one of the most important relics in the Muslim world. The building was built in 1775, by Algerians. The building itself has eight magnificent granite pillars, at whose base rises the mosque. Town guests need to know that the temple does not allow women. However, the exterior of the building is worth visiting too. Among the sights of the city is the Terbana Mosque, built in 1677, the Attarine Mosque, as well as the historical monument - Villa of Antoniadis. There many museums can be visited. Among them are the Greco - Roman Museum, the Museum of royal jewels, the Museum of Fine Arts and National Museum of Alexandria. The modern part of town is also full of very interesting buildings like the Misr Train Station, Stanley Bridge, Castle Montaza and Alexandria Opera. 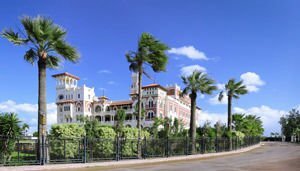 The modern part of Alexandria offers guests a wide variety of city hotels and leisure. Alexandria is the second largest city in Egypt. The population of the Mediterranean city is 4.1 million. Over the years, the city was inhabited by many immigrants from Greece, Italy and many other countries. Alexandria was once home to the largest Jewish community in the world. The supply of foreign cultures further enriched the appearance of the town associated with its cosmopolitan and bohemian traits. The Egyptian city is today one of the most important commercial centers in the world. The reason for this is the convenient location, connecting the Mediterranean with the Red Sea. 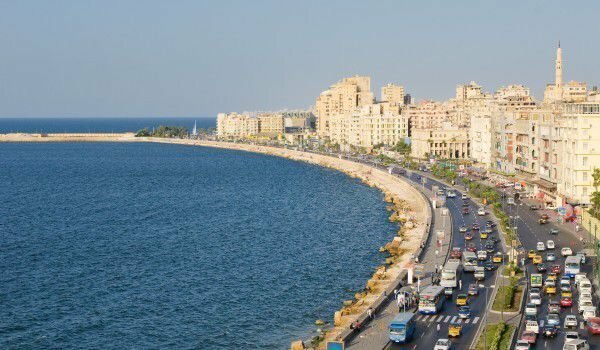 Legends say that in 331 BC Alexander the Great founded Alexandria. The city remained the capital of Egypt for near a millennium. In 641, however, with the advent of Muslim rule, the capital moved to today's Cairo. Today, Alexandria is located just 225 km from Cairo.